Conventional fuelling and common rail. All engines are dynamometer tested in house, on our own Heanon and Froud Dynamometer. With the Cummins Onsite diagnostic equipment we are able to monitor all engine parameters to ensure that all our reconditioned engines meet the highest possible standards. 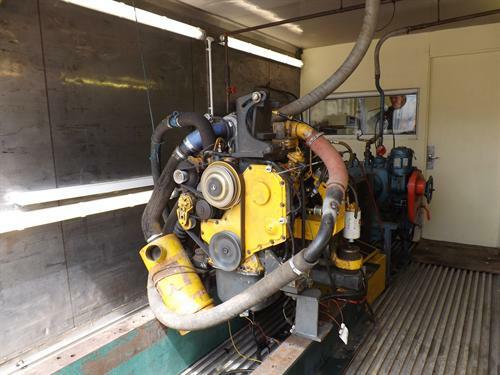 Our hydraulic pump test bench is specifically built to test Komatsu hydraulic pumps. 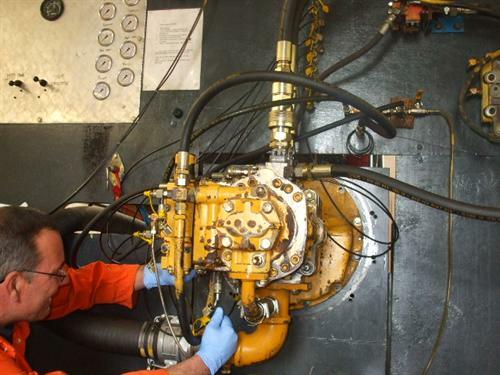 We are able to strip, inspect and recondition pumps to an exceptionally high standard. Reassurance that all pressures and flows are tested and checked under working conditions gives peace of mind. Which include a fully comprehensive and portable Komatsu hydraulic pressing kit. This enables us to meet all your pressing and pulling requirements, with a maximum 100 tons of pressing force. 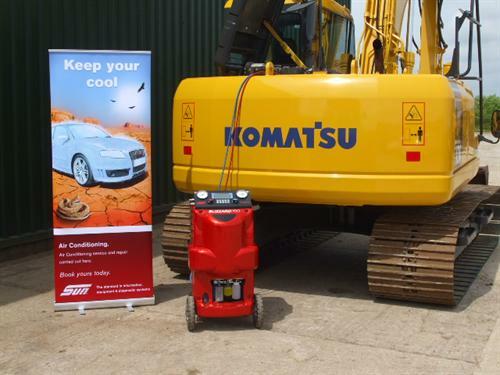 With our new ‘Sun’ air conditioning equipment we are able to re-gas all Komatsu air conditioning systems. Our fully equipped fabrication bay allows us to undertake all welding and fabrication repairs. With our hydraulic recoil press we are able to safely compress and repair recoil assemblies for machines up to 45 ton. With the WAMITAB certification recently awarded, we have a responsibility to continue our high standards of workmanship and environmentally sound working practices.